Evanina, who spoke Feb. 23 at an Institute for Critical Infrastructure Technology (ICIT) event in Washington, D.C., said data breaches from the inside are often caused by workers who have been divorced, passed up for a promotion, or had some other difficult event occur in their lives. In addition, many breaches are the result of an employee or contractor accessing information they’re cleared to see, then taking a thumb drive or papers out of the office with them, and there is no high-tech way to prevent that. Evanina said that many agencies and private companies have the ability to look at behavioral data, such as when a person usually logs on to their computer and deviations from that time, in order to guess if an employee has become a threat. “HR-provided training and awareness are consistently the initial portal through which new employees are processed and would be the point at which notice of an insider program would be conveyed, transparency established, and buy-in achieved,” said John McClurg, vice president and ambassador at large at Cylance, who also spoke at the event. “The foundation of any such program necessarily includes policies and processes that encompass the entire employee life cycle—vetting, hiring, training, personnel management and separation—that help prevent and detect insider threats—all classically owned and advanced by an HR department,” McClurg said. According to Evanina, some government agencies are doing well in incorporating human resource data, whereas others are less adept. According to other ICIT speakers, there are too few professionals capable of deducing insider threat potential from human resources paperwork, let alone integrating that potential with data collected on the employee. “The program needs to have clearly defined criteria and thresholds for conducting inquiries or investigations, referring cases to Security, Ethics, Legal or Human Resources; providing information to civilian law enforcement, government agencies, or requesting civil or criminal judicial process,” said McClurg. Evanina said that part of the problem with insider threat is that so many incidents keep happening, making the public and organizations numb to the news. 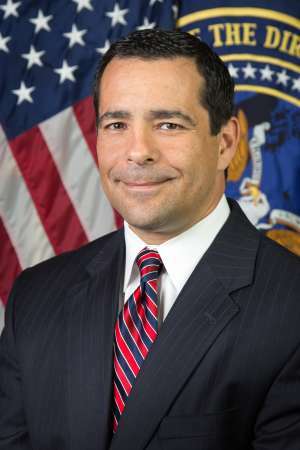 When asked whether recently reported dips in intelligence worker morale would exacerbate the insider threat problem, Evanina said that he disagreed with the idea that there was a morale dip in the first place.